With technology as advanced as it is now, integration is key. The lines between work and play are no longer as defined as they once were, and this is especially true for young urbanites. With a penchant for curiosity and an eye for adventure, they see the world as their playground. This is especially true for actor-slash-athlete Derek Ramsay, a true embodiment of work-life balance. Leading a double life as a celebrity athlete, his mornings always start with exercise. Frisbee, in particular, has been taking up his time. "Training is at 8am-1pm then I get my lunch and train again," he shares. "We're going to have a tournament on June 18-24 in France with the entire Philippine team." And if you think that doesn't make him active, his newest hobby entails a whole body workout! "I try to sail as often as I can, many times a week because it makes me stronger," Derek shares. For a busy lifestyle that's always on the go, Derek says denim is always a part of his fashion statement. Preferring comfort with added style, he usually steps out in a pair of jeans and a t-shirt (preferrably a V-neck) to go about his daily life. 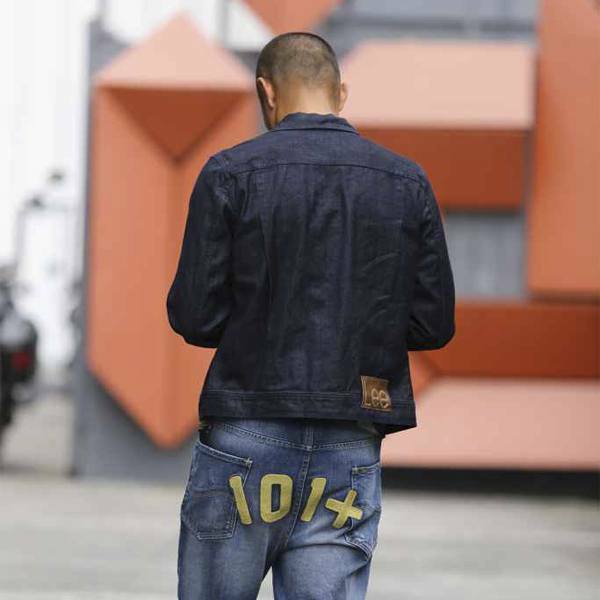 Almost perpetually in denim, he advocates Lee's new 101+ line. A line of classic denim that has been revamped and revised for the young millenial living a fast-paced life. With function and form taken into play, the results are a seamless integration of fashion and daily life. Visit Lee Page or Facebook, Youtube, Instagram, and Twitter to know more about this campaign. This article was created by Summit StoryLabs in partnership with Lee Jeans.